Portraying a difficult business climate for premium Web publishers, The New York Times Company said Thursday that third-quarter digital ad revenues declined 2.2% to $44 million. Along with lower national display and real estate classified ad revenues, executives blamed revenue declines on a bland economy, and the rise of programmatic ad buying, which is putting pressure on premium pricing models. “Programmatic buying is driving prices down,” Denise Warren, SVP and chief advertising officer at The New York Times Media Group and general manager of NYTimes.com, said during a call with investors on Thursday. “We are seeing pricing pressure on core banner display [businesses] as business confidence weakens and as programmatic buying becomes more robust,” Warren explained. 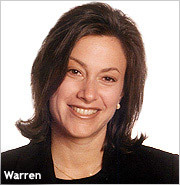 Pressed by investors about the degree to which programmatic buying -- via ad exchanges, agency trading desks, demand-side platforms, and supply-side platforms -- was hurting business, Warren would only say that the negative impact is real and growing. As for specific ad categories, Warren said luxury, automotive and transportation from airlines were all performing well, while financial, entertainment, department stores and real estate advertising were down in the third quarter. In the first nine months of the year, The New York Times Co.’s total digital ad revenues decreased 2% year-over-year to $145.7 million. Digital ad revenues as a percentage of total ad revenues were 24.4% in the third quarter -- up from 22.8% in the third quarter of 2011. Digital ad revenues as a percentage of total company ad revenues were 23.6% for the first nine months of the year. Early in the fourth quarter of 2012, The Times Co completed the sale of the About Group for $300 million, plus a working capital adjustment. “This sale will allow us to enhance our focus on our core business of generating and distributing high-quality journalism,” stated Arthur Sulzberger, Jr., chairman and CEO of The New York Times Co. In early October, the company’s interest in Indeed.com was sold for approximately $167 million as a result of the sale of that company. Paid subscribers to The New York Times and the International Herald Tribune digital subscription packages, e-readers and replica editions totaled approximately 566,000 at the end of the third quarter -- an increase of 11% to about 57,000 subscribers. Paid digital subscribers to BostonGlobe.com and The Boston Globe’s e-readers and replica editions totaled approximately 26,000 at the end of the third quarter -– up 13% or about 3,000 subscribers. The company’s digital businesses consist mainly of NYTimes.com, BostonGlobe.com and Boston.com. 6 comments about "'NYT' Digital Revs Dip, Programmatic Buying Blamed". Doug Tulin from Adworkshop, October 26, 2012 at 8:45 a.m. The drop is more likely attributable to the way the NYT handles the digital accounts. The results for clients has been poor and conscientious optimization efforts seem to be wholly lacking. Once again, customer service rears it's head and with the rampant proliferation of other options, the NYT needs to step up its game in this regard and quickly. Scott Portugal from Yieldbot, October 26, 2012 at 9:51 a.m.
Programmatic buying as the cause of revenue softness? Talk about blaming the boogeyman. First off, RTB doesn't mean you abdicate price control. NYTD decides where and when buyers can access their inventory, and today's exchange platforms give publishers unprecedented levels of control & transparency. Second, there are large swaths of demand for premium inventory available via RTB - often through private exchanges.....which NYTD runs! (http://bit.ly/hwOmZr). RTB is no different then any other buying channel: if you deliver premium inventory with a high degree of transparency and use your sales team access buyers directly (you can call a DSP and negotiate a direct deal....but it's still delivered via programmatic buying), you can ensure that CPM's remain high and in fact grow overall revenue. Just wait until NYTD ad sales revenue grows from accessing demand that's inside DSP's and trading desks. Suddenly RTB won't be such a bad thing. Joseph Pych from NextMark, Inc., October 27, 2012 at 11:51 a.m. Inventory gets commoditized when it's put into to an exchange environment and bought through programmatic buying. This is why publishers joke that RTB=Race to the Bottom. This article is evidence. This commoditization/price erosion problem is not unique to NYT... it affects all premium publishers. Graham Huddlestone from Shiny Ads, October 29, 2012 at 4:44 p.m.
Large premium publishers need to flip this around and look for a way to sell more premium direct inventory and leave fewer ad impressions for remnant technologies to manage. Publishers can use an automated platform for guaranteed high value inventory and not drive down the price of the advertising. To do this, they need a platform that gives them control over pricing, packaging, and other aspects of the inventory sale. If the publisher keeps control, then they can use technology to process more transactions automatically and offer direct buying of brand safe guaranteed inventory at higher CPMs. At the same time, DSPs and trading desks will embrace this approach because it guarantees inventory delivery while allowing them to make changes and manage ad tags all without the delays of negotiating contracts with the direct sales team. Programmatic guaranteed buying can be a win-win by allowing publishers to access large demand sources while automating the process of buying premium inventory for DSPs and trading desks; AND without lowing the price like RTB. Domenico Tassone from Viewthrough Measurement Consortium, October 30, 2012 at 9:42 p.m.
Well said Graham. Publishers are actually going to have to work for the money. It looks to me that NYT is in denial...hanging on to an obsolete model, what with their pay wall and the selling off of About.com. The latter being a great way to lose tons of potential revenue. Data-driven ad targeting is not going away...maybe it is time to get new management. Peter PulsePoint from PulsePoint, Inc, November 5, 2012 at 10:20 a.m.
NYTimes.com's YOY UV's are down 23.9%, per ComScore, this might have something to do with it. They may want to revisit their yield strategy and be more proactive with various third party monetization companies to ensure their impression attributes are properly being provided to programmatic buyers to allowing buyers to make better bidding decisions; not just impression and size; but page placement, context of page, brand safety, and applicable audience insights as data driven targeting continues to become more refined beyond the cookie since cookie's do not scale.